You may not have been aware, but there’s a procedure in cosmetic dentistry called “dental veneers” that can solve almost any cosmetic issue! Dental Partners of Boston have been recognized as one of the best dental practices in Boston for those who need to enhance or correct their smile by concealing stains, chips, injuries, or worn and misaligned teeth. 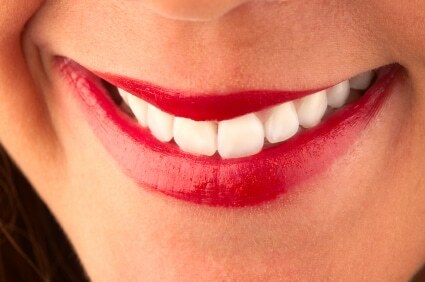 Porcelain veneers look incredibly natural, are long-lasting and resistant to staining. This makes them one of the best cosmetic options available for patients seeking a brighter, straighter, undamaged smile. Veneers must be installed by a Prosthodontist. Your regular dentists may refer you to a Prosthodontist if you need tooth replacement implants, dentures, crowns, or bridges. Prosthodontists are trained to design, construct, and fit replacement teeth. Choosing the right office to have your dental veneers is vital for a number of reasons. Communication amongst clinicians when two or more types of dentists are needed is critical for proper coordination and implementation of procedures. Meticulous planning and treatment with a patient-focused mindset are necessary for an excellent outcome. Having all of the essential dentists under one roof dramatically increases patient satisfaction, quality of work done and recovery time. Dental Partners of Boston is well known for our team of specialists that are; well rounded, highly experienced, talented, and easy to work with. We want you to get the best possible treatment that modern dentistry can offer. Do you have cracked, chipped or broken teeth? Are your teeth extremely stained or discolored? Regular teeth whitening products have not worked in the past. There are teeth that are misaligned, uneven, or irregularly shaped. In addition to these six indicators, being committed to excellent, routine oral hygiene and care are essential parts of being a good candidate for dental veneers. This includes flossing and brushing 2-3 times per day.